Riviera Firefly, is a podcast and online guide to living on and visiting the French Riviera and the Côte d’Azur. Whether you have lived in the area for many years or have just recently settled here, Firefly is on hand to tell you about local businesses, activities for children and adults, local attractions and of course where to go for fun days out on the French Riviera. Firefly is free to you as long as advertisers are aware that this is what you have been reading! Please help by mentioning Firefly Riviera when replying to adverts and send our link to your friends and help us spread the word! Riviera Firefly is your online guide to living on and visiting the French Riviera and the Côte d’Azur. We have a Podcast Show. Join the Riviera Firefly &Côte d'Azur Living community. Be the first to hear about our upcoming guests and receive a link to our private Facebook group where Guests and Listeners connect. We interview inspiring local entrepreneurs and small businesses about how they started their careers, why they came to France, their success stories and any hurdles . We chat education, business, health, lifestyle, gardens and more. Topical issues such as Brexit and what this means to expats will also be covered in 2017. We also produce mini pods focused on small businesses, increasing productivity, using new technology to promote your business, challenges such as Facebook Live. They are about entrepreneurship and mumpreneurs, becoming the CEO of your company, making profit a the focus and monetising your business , being able to pay yourself and much more! Would you like to work with me in a mastermind if so click here ..now taking applications for the Autumn 2017 Auto Entrepreneur Mastermind. Your directoy gateway to essential information for living on and visiting the Côte d’Azur, telling you about local businesses, activities for children and adults, local attractions and of course where to go for fun days out on the French Riviera. 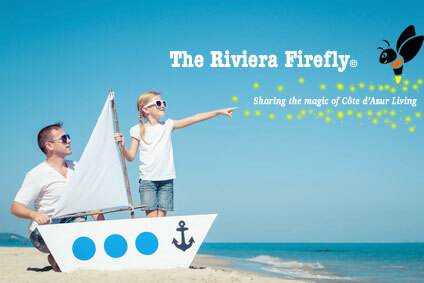 Do you need more information about Riviera Firefly, then click on the button below to send us a message.